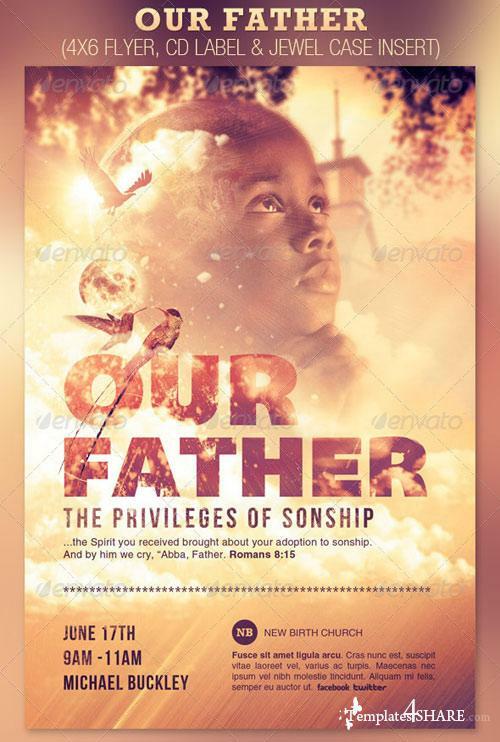 This template depicts a theme geared towards topics such as Father's Day, Creation, Youth and Prayer. 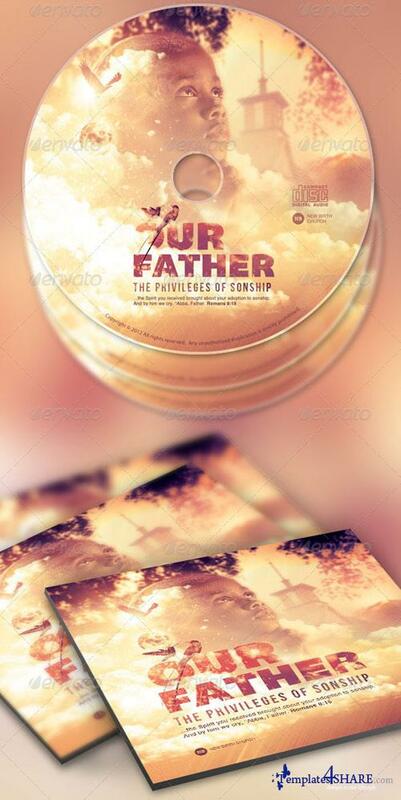 The Flyer and CD Label can be used for your Sermons, Gospel Concerts, Youth programs, etc. In this package you'll find 3 Photoshop files. All text and graphics in the files are editable, color coded and simple to edit. The file also has 10 beautiful one-click color options.